Will a smattering of items be enough motivation to shop at Game Stop? The N7 Defeneder Armor Set – The Defender Armor is a variation on the N7 Special Forces’ combat gear, built to protect soldiers in long-running engagements where reinforcements may be sparse. When the wearer fires a weapon, the suit’s computers divert energy from the main power cell to the gun’s kinetic coils, offering an extra punch. The Defender’s storage compartments are designed to hold spare thermal clips, while capacitors throughout the armor provide extra power to shields during critical moments in battle. The armor also comes with an injection system built into the suit and neural-linked bio-monitors that help adjust the wearer’s breathing rate and adrenaline levels. The M55 Rifle – Available for ALL pre-orders. Origin (PC) Exclusive: The AT 12 Raider Shotgun: The AT-12 Raider Shotgun fires a large pellet spread, ensuring maximum coverage for close-range targets. Designed for superior rapid fire, the AT-12 allows for optimal recovery time between shots. Hopefully everyone is enjoying an action packed E3 extravaganza this week! 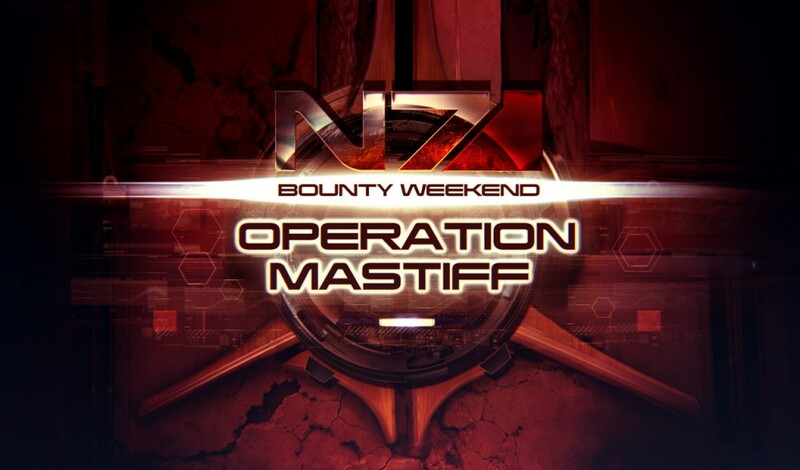 For those of us at home who are still enjoying the tactical bliss that is Mass Effect multiplayer, we have some info about this weekend’s community challenge. Unlike the “kill” and “promote” objectives we’ve seen in the past, Operation Mastiff will require the community to complete 100,000 delivery missions, the new objective included in the free Rebellion pack. 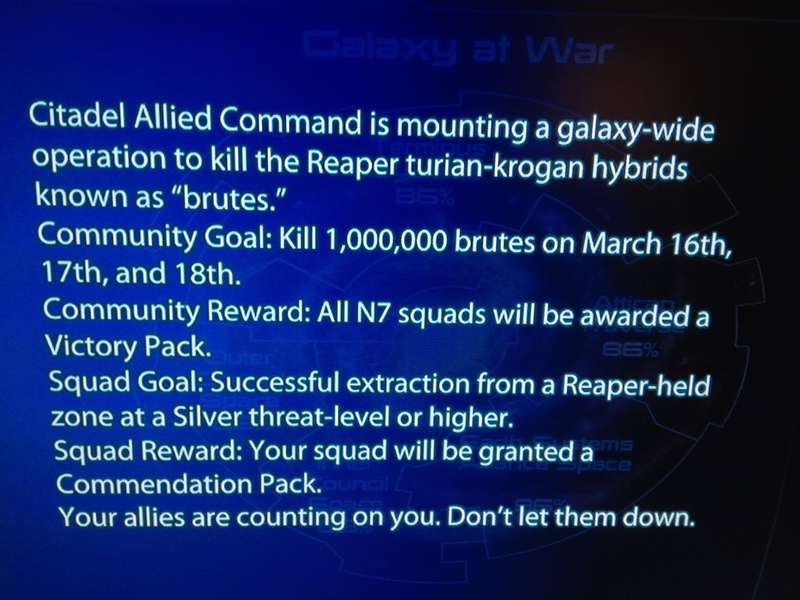 BioWare forums has been in an uproar about this, and not surprisingly, I am one of those people. Stupid crap like this is the main reason why I’m slowly interest in gaming in general. Hell, the AT-12 Shotgun, I want, but Origin has a publicly panned reception for good reason (i.e. Your personal information may be sold to third parties.). 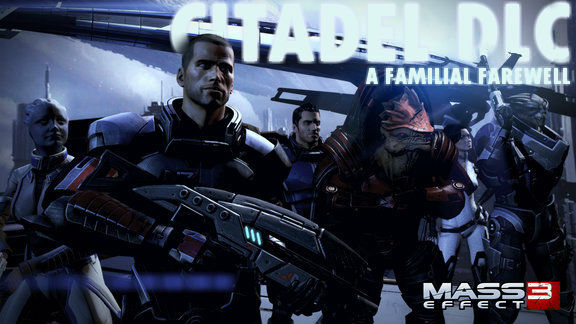 As it is, I even hold BioWare’s Community Manager, Chris Priestly in a very low regard for not getting the much needed answers regarding Origin’s function for the PC version of Mass Effect 3, and I’ve read at least dozens of topics detailing how to circumvent Origin, just because the right to privacy is endangered. I’m keeping my fingers crossed that things don’t get entirely out of hand with pre-order bonuses. BioWare has some of the best fans in the business, so you know when they’re THIS upset about something there has to be a legitimate reason. In defense of Chris Priestly, CMs have a very hard job and can only give the answers that they’re allowed to give. It could very well be that EA doesn’t have an answer to the problems that are currently plaguing their Origin service. preorder items are never essential. I have heard people complain “oh but it’s not balanced unless you have this or this” but i have yet to find a game where that is the case. Actually I’ve seen far more of the opposite problem, and just as many people complain about it. That many of the preorder items you get from things make the game far to easy and broken. This current craze is getting WAY out of hand. I can’t see why any developer would want to limit the content getting to the consumer by making them pick a particular retailer. It certainly isn’t going to make me purchase multiple copies of any given game. If all of the preorder bonuses are available as DLC at some point like has been seen with other games (Fallout: New Vegas) then OK but still a dirty trick. On occasion those bonuses will be too good to pass up though! I used my Terminus gear heavily in Mass Effect 2. As a matter of fact on my first play through I rarely used another heavy weapon.